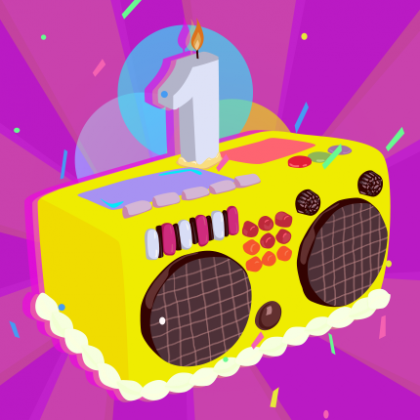 Record labels have long been the gatekeepers of the dance music space, as they continuously define and reshape tastes via releases, endless talent scouting, and the curation of brand-hosted parties. In our Cut From the Catalog series, we big-up established and buzzing imprints alike by taking a look at the organizations’ ops while running through a retrospective mix built solely from their respective catalogs. Unsatisfied with the homogeneity of the music scene in Los Angeles, Brooklyn transplant and Trouble & Bass cofounder AC Slater (Aaron Clevenger) launched Night Bass events and records in 2014 and 2015, respectively. Also in 2015, AC and company released This Is Night Bass Vol. 1, a defining compilation featuring DJ Q, Petey Clicks, and Jack Beats. A fifth edition of the collection is presently in the works. In a matter of just three years, AC’s disruptive spirit has become a guiding force in global DJ culture. 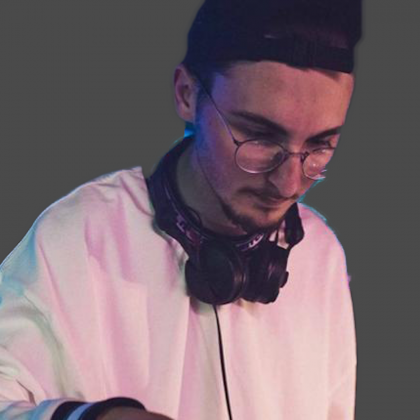 A purist at heart with a soft spot for a throwback basic party, Slater is just at home taking thousands on a journey through riffs on UK garage, grime, bassline, and house. Along for the ride are Taiku Nulight, Phlegmatic Dogs, and Chris Lorenzo. You grew up near Pittsburgh, which is undergoing a tech and arts infusion, including companies like Google and festivals like Thrival. What’s it like playing in Pittsburgh now, after growing up clubbing there? I haven’t played in Pittsburgh in years, actually! I grew up about an hour outside of Pittsburgh, in West Virginia. We would drive up and go to raves almost every weekend in the late ‘90s, early 2000s. The events were massive back then and pretty underground—in giant warehouses in the city, or skating rinks and community centers in the suburbs. It was an interesting time. You could buy tapes—yes, tapes—of live recordings at events, and the candy-raver style was just becoming a thing. What do you get out of smaller scenes that you don’t in bigger cities/clubs? I feel like people in smaller scenes get really excited over something new/different coming to town. So, sometimes you can get an incredible energy and feeling of excitement in the room. I love that. You enjoy the big EDM party, but you’re also an advocate of less theatrical presentations (dark sweat boxes where people aren’t gawking at the DJ), which is a very old-school notion. What about that appeals to you? There’s just a purity of getting back to basics, really enjoying the music and the social aspect of raving. Music is one of the strongest ways to build a bond with a person. I’ve made real, lifelong friends through music. When you turn a DJ set into a giant concert with production that you watch like a show, it’s amazing, but just a different vibe than being in a room full of people dancing around each other without the show to take your attention. The crowd becomes the show. Night Bass the party. Night bass the label. Night bass the festival stage. How far is this going? The sky is the limit. I guess I should say the moon is the limit. I want to do our own festival, eventually—hopefully next year. I have a lot of ideas that I want to put into play with Night Bass, but I’m waiting until the right time. Any thoughts about franchising the party so other cities have a regular party, instead of just occasional tour bookings of Night Bass? Right now, I want to oversee everything that happens with Night Bass. It’s very important to me to keep the vibe 100 percent right and everything on brand. Plus, I just love being at the events and seeing what it has become. There’s something really special about our crowds; I guess I’m biased. But right now, I don’t want to oversaturate the scene with Night Bass. It’s so much more special when it’s a rare occasion. Choosing a favorite track is like choosing a favorite child, and each release on your label has its own story. 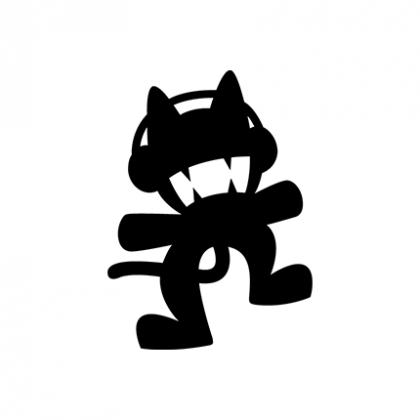 But… is there a story behind one release that captures the spirit of Night Bass? The first release I simply called “This Is Night Bass,” which became our ongoing compilation series; I’m really proud of that. 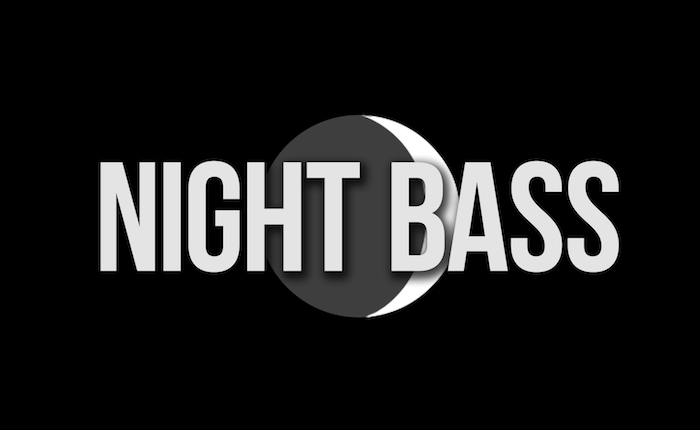 It was the perfect collection of artists and songs to very easily introduce what exactly Night Bass is. It also came out right around the same time we did our stage at EDC, which was just perfect, showcasing many of the artists that were on the compilation. It’s crazy—all of those tracks still feel relevant three years later. I want to do our own festival, eventually—hopefully next year. I have a lot of ideas that I want to put into play with Night Bass, but I’m waiting until the right time. Can you pick a few releases that came at pivotal points in your evolution and how those releases capture those moments for you? I’m proud of all our releases—especially the compilations. They are a nice mix of new talent and trusted Night Bass artists. Releasing EPs by artists like Phlegmatic Dogs and Volac, all the way from Russia, was a great feeling to me. I really believe in their music. They are from the other side of the planet, but it feels like they truly fit on the label. Being able to release someone as prolific as Chris Lorenzo, or legends like Sinden and Jack Beats, is an honor to me. You started this label and party because you weren’t hearing the mix of music that you wanted to hear: garage, grime, hip-hop, house, etc. Now that the party and label are alive and kicking, what impact do you think you’ve had on dancefloors and culture? I definitely noticed the musical climate of US clubs and raves change once we were going for a while. I think people really saw what we were doing and took note. I’m not giving Night Bass credit for that, but if anything, there was a general desire for something new after years of big-room EDM music, and we were a big part of moving forward. At the end of the day, though, I just want to sort of have our own little corner in the world of dance music that we can always enjoy. How does this holistic approach to music influence your A&R decisions? Anything I release has to have a lot of originality and personality. That’s my biggest requirement. Second to that is production quality. It just has to hit hard and sound great on a big sound system! What advice do you have for people who want to send you demos? Be yourself. Don’t copy our last three releases. If you send me something unique, it goes much further! Also, don’t be discouraged if you get turned down by any label. That’s just more fuel for you to work harder and get better at your craft. What influences your A&R decisions? For me, it’s a gut reaction. I have to be able to play it in my sets. Like I said, originality is king! You’ve worked with Taiki Nulight for a while now. What’s it like having him on your team, and how has it been watching him evolve as an artist? He’s a great person and an insanely talented producer who works very quickly. It’s been incredible to watch him grow over the past 3½ years. When I first brought him to Night Bass, he got off the plane and was this young kid who hadn’t traveled before. Now, he’s a grownup, globetrotting DJ—pretty awesome to see. How have you both contributed to each other’s development? He’s so fast in the studio, but it’s still very high-quality work. When I work with him, I take a lot of inspiration to work faster in the studio on my own. You kick off this set with “Fly Kicks,” your first single, and you finish it with an unreleased version of that track. What has changed, and how, between those two moments for you? That song was track one on our first release. It was also my first collaboration with Chris Lorenzo, one of the catalysts for me starting Night Bass. I was so excited to put that and Night Bass out into the world. Fast-forward three years later to now, and we’ve got this great Wax Motif remix that brought that song into 2017 with a fresh perspective on the Night Bass sound. What’s next for Night Bass? New releases are coming from me, Sinden, Shift K3Y, Proxy, Phlegmatic Dogs, and Petey Clicks, as well as This Is Night Bass Volume 5 and a huge remix EP with updates of some of our favorite tracks, including that Wax Motif “Fly Kicks” remix. On the party front, we’ve got our stage at Electric Forest and our ongoing events in Los Angeles! 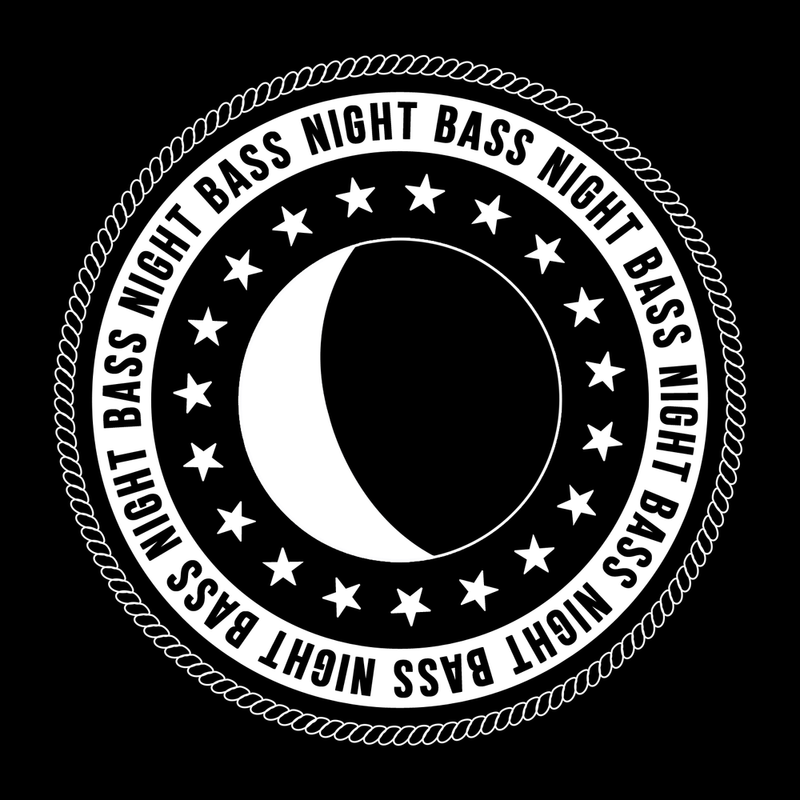 We’ll also be adding a bunch of new Night Bass merch to our online store! The 2017 Night Bass Summer Phases tour kicks off this week. For more info and tickets, visit SUMMERPHASES.COM.